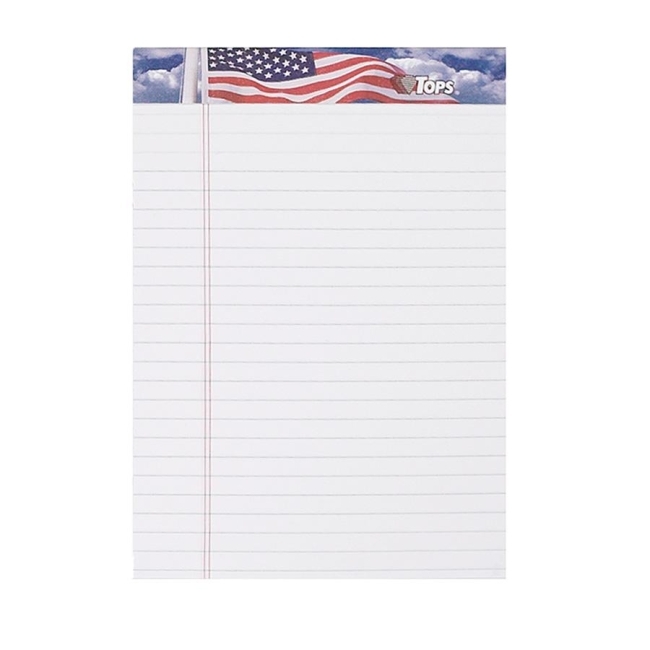 Tops American Pride Writing Tablet - 8.50" x 11.75"
American Pride tablet displays the nations colors on a blue sky background printed on the binding strip at top. Care has been taken to present U.S.A.s flag with respect and according to U.S. Code. Letr-Trim perforations allow sheets to remove cleanly. The 30 point back offers convenient writing support. 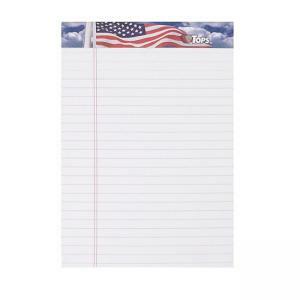 Each pad contains 50 sheets of 16 lb. paper.